Let’s talk about the no contact rule, which is pretty much the most essential thing you can do in order to get your ex back. It is also the most essential thing to do if you want to get over your ex and heal from the breakup. So basically, it’s a win-win. You either get him back, or you fully get over him and are free to move on. The no contact rule can sound brutal, and strangely permanent. But it’s not. It’s a temporary state that will hopefully lead you to a long-term solution. It is a means to gain clarity, and that clarity may reveal that you and your ex are meant to be and you may finally see the things that prevented you from making it work in the first place, or that clarity might make you realize that he’s not the right guy for you at all. The most common question is: how long should I do the no contact rule for? Let’s break it down and look at the ideal amount of time to go without contacting your ex, and why that will get you maximum results. The no contact rule is as it sounds. After a breakup, you do not contact your ex for a certain period of time. The purpose of this rule is to give you a chance to emotionally detox from the relationship and get yourself back to a strong and healthy place. It’s a chance for you to get back to yourself, to gain perspective and clarity, to learn you can live without him (even though that may feel impossible), and it is the best chance you have to get your ex back and keep him this time. What if you work with him or have a child with him or some other reason why you’ll be forced to see him? You can still follow the no contact rule, you just have to really limit how much you speak to him. Keep it strictly business or strictly logistical. And do not speak to him outside of the specific context that you need to deal with him. 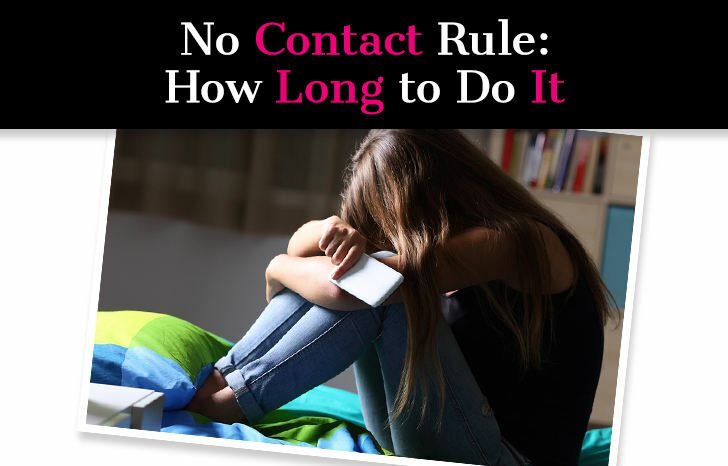 How long should you do the no contact rule for? I generally say you should go a minimum of four weeks without contact. This may not be enough for some people, especially if it was a very long-term and serious relationship, so I would say 4-8 weeks is standard. Definitely, do not do it for less than four weeks. Anything beyond that, you’ll just have to use your judgment. You’ll have to be honest with yourself and see how you feel and if you’re ready to open the gates of communication. Some women prefer to wait until the guy reaches out to them. This can definitely work but sometimes can take a few months rather than a few weeks. But if you can be patient and if you truly work on getting yourself to the best place possible in the meantime, then you really set yourself up for success. If you use your period of no contact wisely and do all the things you’re supposed to do, then going for a period of one month with no contact should suffice. If you spend that month crying into your pillow and obsessing over him endlessly and counting the minutes until you can contact him again, well you need a lot more time! You’re doing a lot more during the no-contact period than not contacting him, you’re rebuilding yourself. Yeshiva University neuroscientist Lucy Brown and her research team did a study on heartbroken individuals. They found that the brains of their subjects looked a lot like drug addicts fiending for a fix. And what to addicts do to recover? They go to rehab for at least 30 days to completely detox from drugs. The no contact rule is your rehab. Basically, immediately following a breakup you can’t help but commit behavior that you will definitely regret. The no contact rule cuts you off from making those mistakes so you don’t end up pushing your ex even further away, and making him feel even more confident in his decision to end the relationship with you. You haven’t contacted him for at least four full weeks. You have spent this time working on yourself and feeling good- you exercise, take care of your self, have fun with your friends, and do things you enjoy. You’ve put time and effort into making positive changes in your life. You’re emotionally in a good place and know you will be OK if you and your ex don’t end up getting back together. 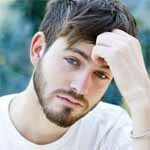 You have identified the real reasons you and your him broke up and know how to fix what didn’t work the first time. You have opened yourself up to the possibility of dating other guys, and maybe even have gone on a date or two. 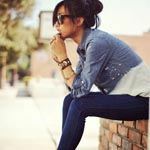 You have recovered from the breakup and are no longer feeling broken, empty, and devastated. You want to get back with your ex for the right reasons, not because your lonely and need the validation. You genuinely believe you and him are right for one another. If you can yes to most of the items on this list then you are ready to initiate contact with him, assuming he hasn’t already reached out to you. But remember, do not respond to him unless it’s been at least four weeks. If you don’t want to flat out ignore him, you can send a quick polite text saying, “I just need some time to myself right now and would appreciate it if you wouldn’t contact me during this time” and then just leave it at that. A lot of women look at the no contact rule as a ploy to get him back. They use it as a means to an end. But getting him back isn’t the goal here, it’s the byproduct. The goal is to get yourself back to an emotionally healthy, happy, and stable place. Missing someone isn’t enough to make a relationship work. You can’t just miss him. If things are going to be different this time around then something has to change. Change doesn’t magically happen, you have to put in the work and give it some time. You need to identify what went wrong the first time and figure out if the problems can be solved. One concept we talk about over and over again here on A New Mode is the importance of loving yourself. That is essentially what lays the groundwork for a healthy, happy relationship. MORE: Does the No Contact Rule Work? The best thing you can do during the period of no contact is to focus on re-building that love for yourself, rather than on re-igniting his love for you. Do the things you enjoy, the things that make you feel alive and charged. Channel your pain into a means for bettering yourself and being a stronger, more confident version of who you were. If you follow these guidelines, you significantly increase your chances for success and for having the love you’ve always wanted. And remember, four weeks of no contact is a minimum. Be real and honest with yourself. Its great this advice, thank you, but I have a specific scenario, that I will really like to know you advise. Me and this guy, work together, so even though I tried the no contact rule by phone, texts or outside work, how do I handle when seeing him at work? or when he shows at lunchroom or at my office to chat or even flirt? It seems that it’s not enough because he still feels my presence, for me is harder for me to move on besides he doesn’t feel my total absence which is key for the no contact rule to work.